Coast Guard Commandant Adm. Paul Zukunft is pictured listening to a ques- tion during an all-hands meeting at Sector San Diego Feb. 13, 2015. 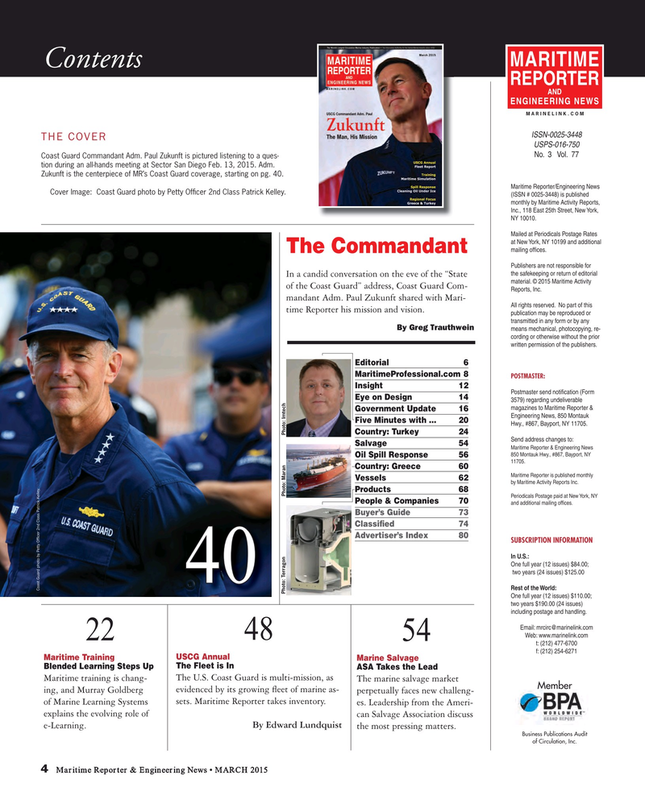 Adm.
Zukunft is the centerpiece of MR’s Coast Guard coverage, starting on pg. 40.